What do I look for in a flip or buy and hold? Floor plans. Is there a good flow to this home? Open plans are more popular today. Walls that make little sense, even most bearing walls, can be removed. On the flip side, can an extra bedroom be created? Is there an issue that you can solve to create more value? A house with functional issues will be difficult to sell, even with great finishings. Look for houses with mortgage helper or suite potential. Know your Municipality Zoning Bylaws. E.g. City of Victoria and Saanich approvals for Secondary Suite zones. Illegal suites…many people do them, they’re everywhere, but legal is better. C-Not always possible but look for undeveloped basements with minimum 7’ 4” height. C-Often overlooked “functioning perimeter drain system” Check with city code Dept for anomalies. Sewage, perimeter drain and storm drains to street, working well? 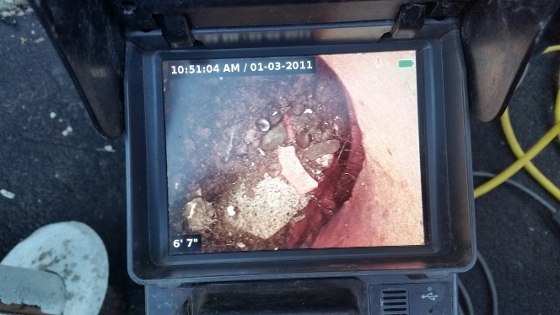 One close call; before removing subjects, by sending a camera through perimeter drains we discovered entire system needed replacing…a potential $25K job. Additions? Consider costs! Try to work with existing structure. If you can’t make addition seamless, don’t do it. Avoid homes that have significantly different architecture than other neighborhood homes. Quite old houses are the most difficult to remodel and have the most cost over-runs. C-Does it have enough electrical capacity for adding appliances or a suite. Check with Utilities on cost to upgrade to 200 amp panel. Anything less is suspect these days. Good location. Even after remodeling it shouldn't be the best house on the street. Somebody else hasn't done something that I'll have to rip out (paying for somebody else's mistakes). Know how far to go.... Beginners often spend too much on things that don't make a difference. Know your market. For example, you may not need to use quartz counters in a neighborhood where laminate sells just fine. Understand if this is a flip or a rental. Rentals require far less updating. Light staging is better than no staging. Use rugs to define spaces rather than large pieces of furniture. A few pictures and well placed mirrors on walls, and accessories in the kitchen and baths make the biggest difference. C-Look for up and coming areas. Vic West and Esquimalt are excellent examples of undervalued Communities with great proximity to ocean, parks, Minutes to Downtown. Do not underestimate the need for contingency fund. 30%-50% suggested. Don’t fall in love before you know the deal. By Denise Andison C.K.D./C.B.D. Co-founder Victoria Real Estate Investment Club. 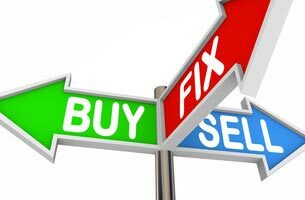 Started flipping homes in 2004 and has remodeled multiple properties for flipping or holding since then. CliffNotes added by Cliff Wettlaufer, Victoria Real Estate Agent and passionate Renovator. Thank you for sharing Denise!